Rooted in Nagpur(India), the company is providing qualitative products and that too at the most reasonable prices. We are equipped with the upgraded machines and technology, thus, we are capable of making stern packaging of products. To keep the product safe from external factors, we make use of finest packaging material. 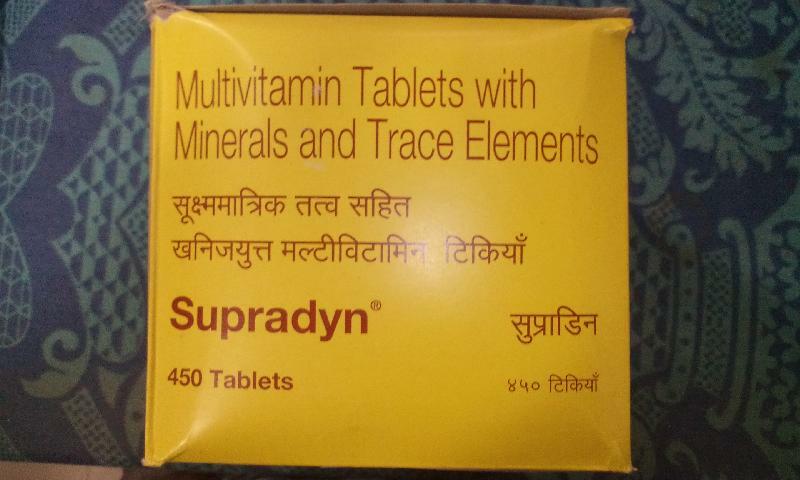 Supradyn tablets are multivitamin tablets with minerals and trace elements and available in packaging of 450 tablets.